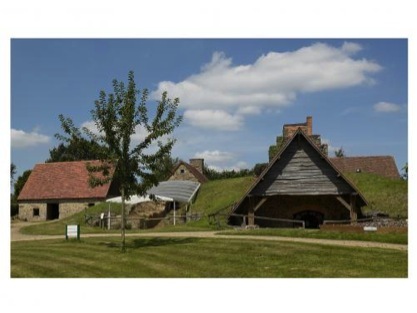 The regional museum of pottery at Ger, is just a 5 k drive from La Chatouillette. It offers activities, demonstrations and exhibitions throughout summer. There is an shop selling pottery. 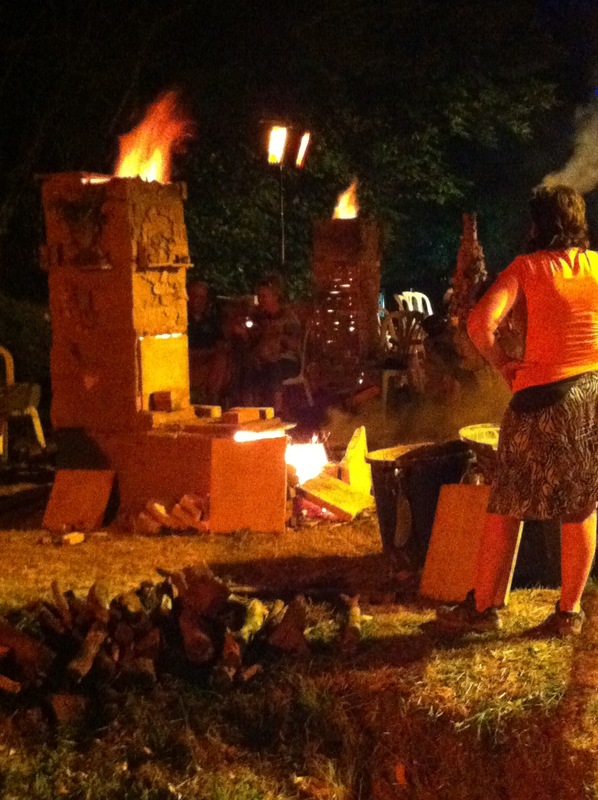 ’The Potters Market’ and the famous ‘Fire’s Party’, a magical celebration of Fire, raku ,takes place at the end of August and lasts all night! 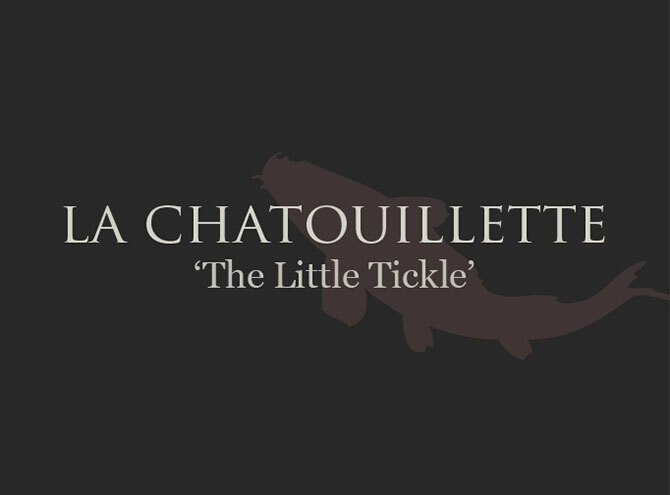 Just a stone’s throw away from La Chatouillette is what is said to be the oldest Roman bridge still in use in France. Legend has it that Julius Cesar and pilgrimes crossed this bridge. 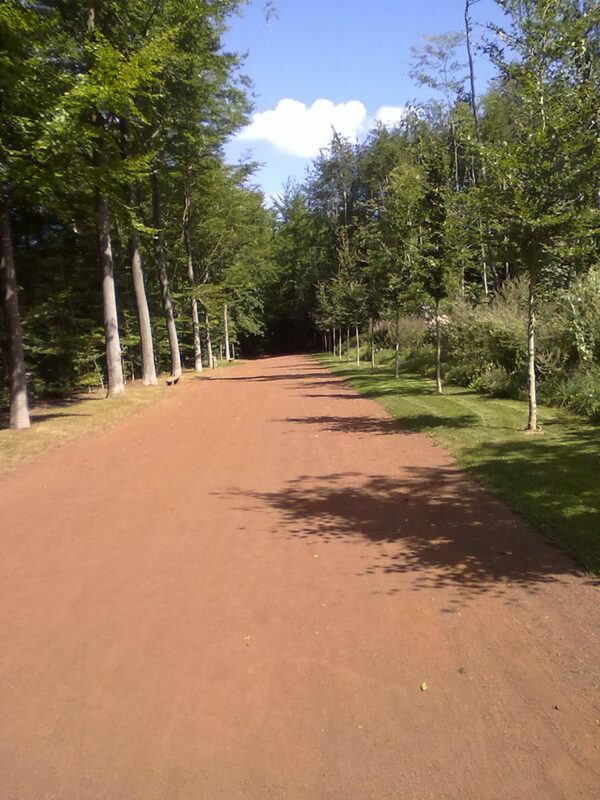 There are green routes paths that offer beautiful walks through this wooded area, which is steeped in history. 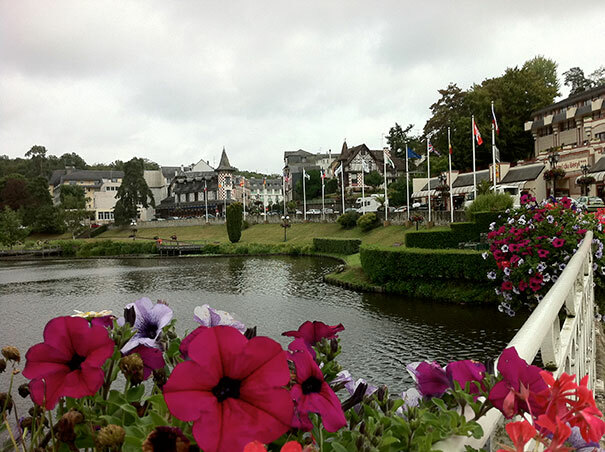 Bagnoles de l’Orne is well known for its’ Thermal Spa Waters ,lake and unusual architecture in the town. 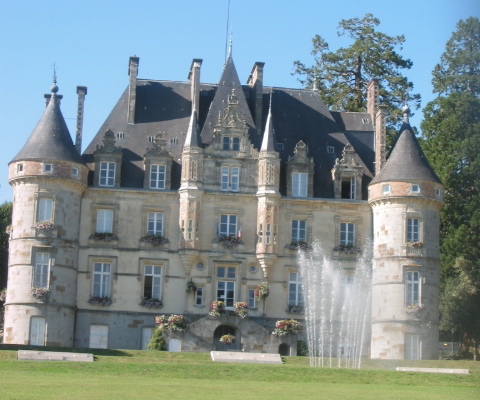 It is home to the beautiful ‘Chateau de la Roche-Bagnoles’ where you will enjoy beautiful gardens featuring 154 species in the arboretum.Other attractions include a Casino, racecourse, walks through woods,out door swimming pool and tennis courts. Horse Cart rides through the town.There are numerous restaurants and cafes to choose from. St.Georges De Rouelley is our local village just a few minutes away. It has a Bar /Restaurant ‘Le Saint Georges’ which serves traditional French Cuisine .High recommended. There is also a bakery and a corner shop which is well stocked. La Fosse Arthur. 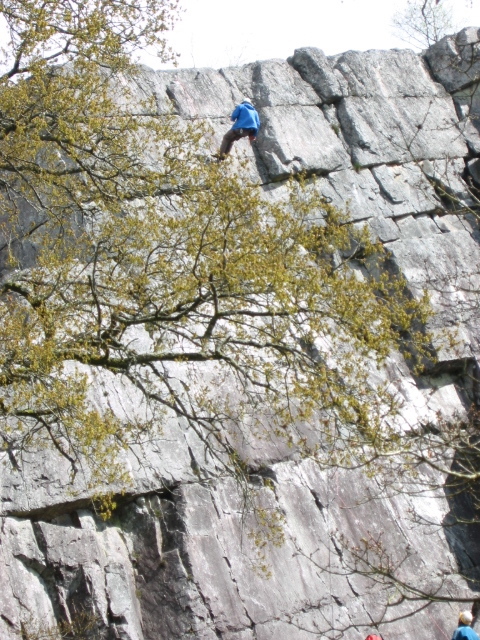 This is a local Tourist attraction (5 minutes drive from La Chatouillette) It is renowned for its beautiful lake and woodland walks and abseiling on the craggy cliff face. 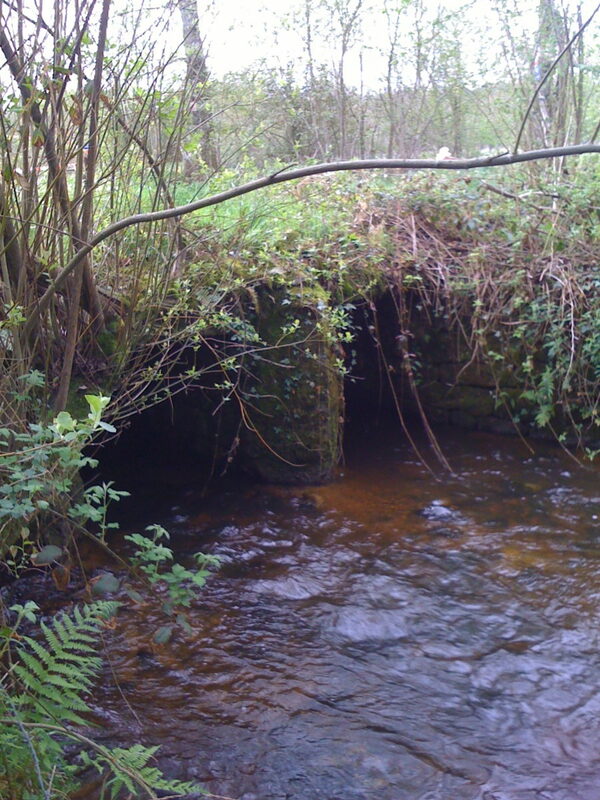 A fast flowing stream guides you through this historical venue.This is a great place to relax and enjoy a picnic. 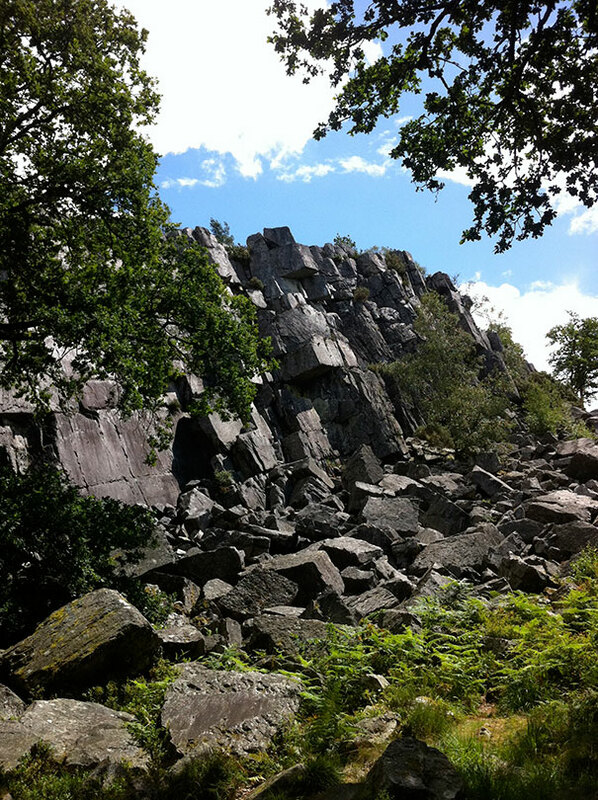 It is full of mystery and local legends of King Arthur. Lonlay-Le-Abbey This region is famous for its’ Biscuit Factory and Shop. Guided tours of the factory are available if you book in advance. Visit the shop to sample and buy the delicious biscuits. La Maison de la Pomme et de la Poir Museum near Barenton. Discover the many varieties of Apple and Pear ciders, Aperitifs and Liqueurs of this region. Cider tasting is a popular pastime. Vire. This is a walled and fortified Medieval 12th century City. The remaining ruins are still very impressive. A gateway entrance and clock tower dominate the centre, whilst the Gothic style church towers above the top portion of the town. There are many shops and boutiques and a large and market on a Friday. morning. Many speciality foods are found here such as Andouille, Teurgoule, Cider , Knob (Apple -based aperitif) and Calvados . Not far away is Lake Dathée a leisure lake with water sports and beach area. 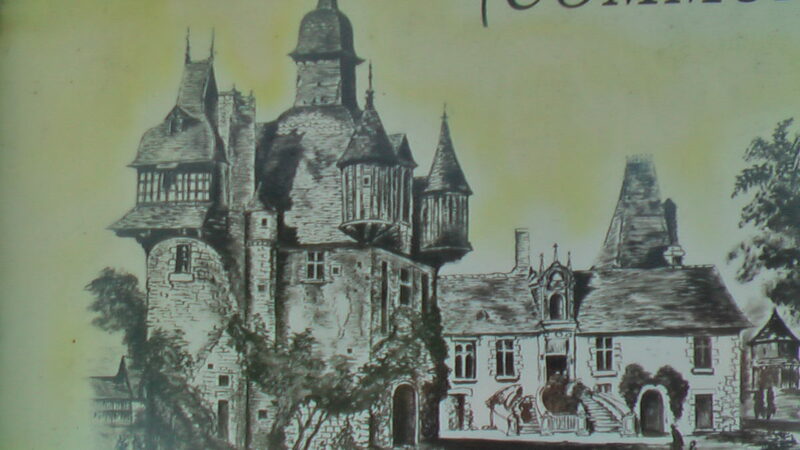 The Mansion of the Saucers is located just outside Domfront .This is what remains the towers and moat , and how it used to look, a tranquil location amazing architect. Mortain. A short drive to get all your weekly supplies, Two supermarkets with a tourist information. Enjoy swimming in the outdoor heated pool during the summer months as well as ‘fete de music’ events .Walking around the streets you will find bakeries, a chemist, bar/cafes and restaurants including La Post Hotel which offers a great evening meal with a views from their back terrace overlooking the surrounding countryside. 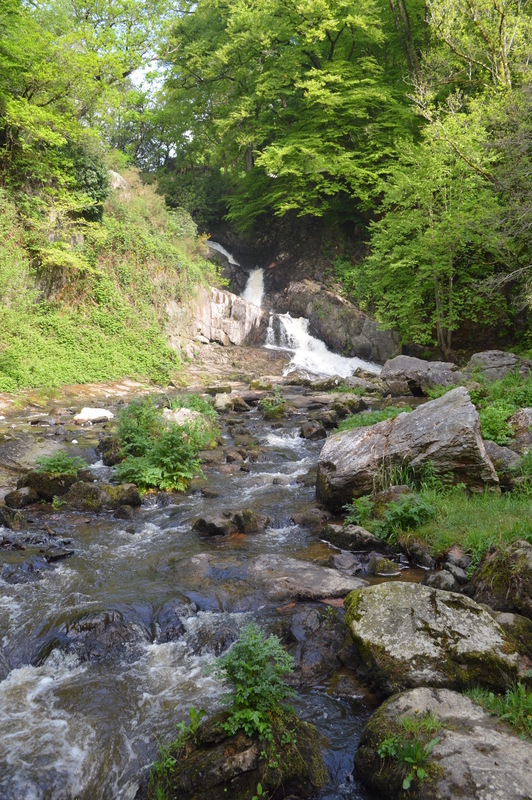 Two (petite cascades) waterfalls walks and la Petit chapel are great places for walking and to explore. Flers. The Castle is surrounded by a deep moat and features extensive walks in the grounds of 7 hectares. 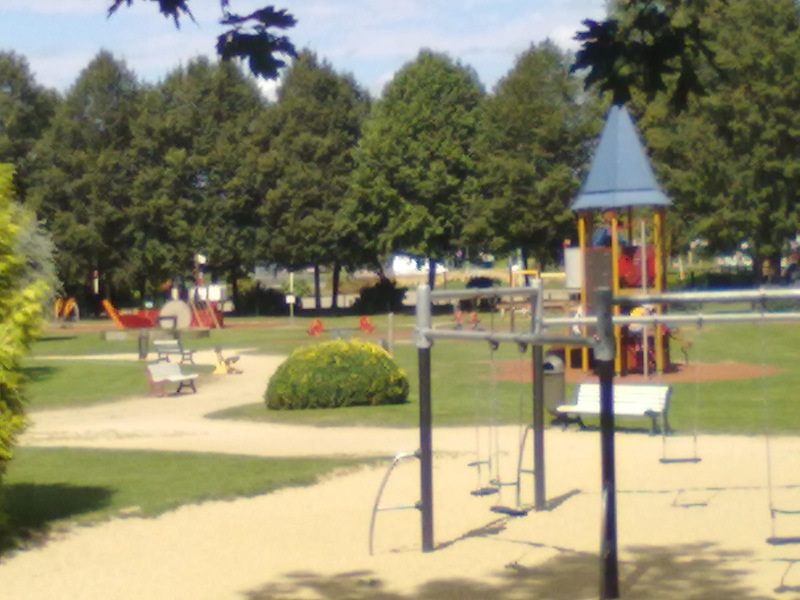 Two impressive lakes and a children’s play ground keeps the young ones happy. There are many shops, boutiques ,Café’s and restaurants and a weekly Market in the old black and white hall. There is also a large indoor/outdoor swimming pool with flume, sauna and a jacuzzi. Cycling paths connect Flers to the icon tourist location, Mont St. Michel. 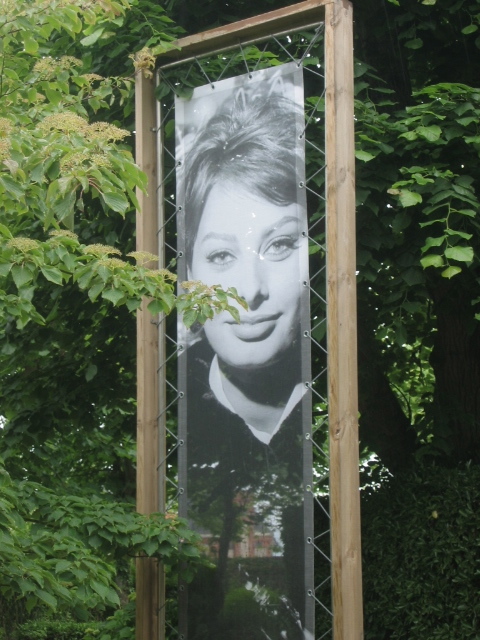 During the first week of June, there is a free music festival with performances taking place in a street theatre. Golfers will enjoy the Flers Houlme nine hole course. St Hillaire du Harcouét. An unusual 19th century Church with two spires, landmarks this town. It survived the bombs of 1944 but the rest of the town was destroyed. Now a lively,town with many shops, restaurants, bars and a tourist information office.The largest market in the region is held here on a Wednesday from 8am -12 am. 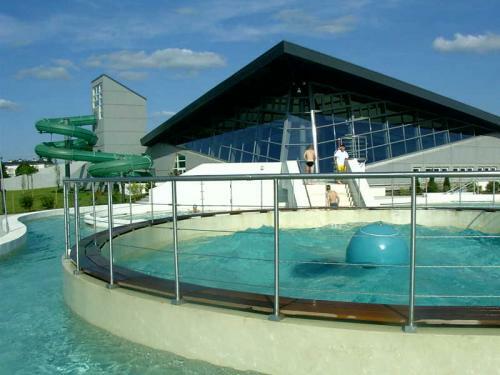 You’ll find many local food products.Local leisure activities the lake with water sports and events throughout the summer months.The indoor swimming pool has a flume and inflatable obstacle course for children and spa . La Ferté Macé. Outdoor leisure activities include swimming, crazy golf and a children’s playground. There are many interesting shops to brows as well as bars and restaurants for relaxation. Lassey -les -Chåteaux. 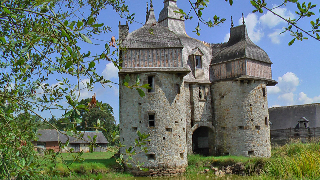 This is an extrodinary fortified Medeval Chåteaux in the Mayenne Department. 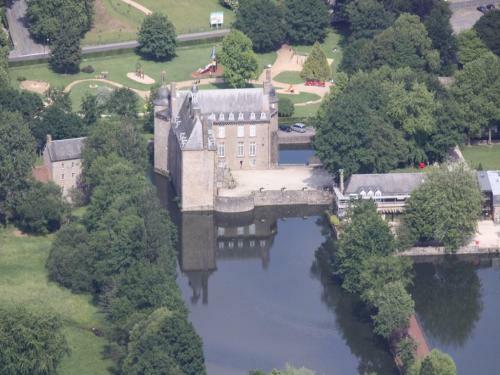 It features a working drawbridge and barbican and behind the chateau, you’ll enjoy beautiful grounds and gardens. The tourist office at Lassey will give up to date info about opening times etc. Granville. Fantastic old and new parts to this historical port with sea views across the Bay of the Mont Saint-Michel and home-port of the ‘Marite’, the last wood-built Newfoundlander. From historical sites to cultural attractions,there are many to explore.There are many passageways to explore and discover hidden secrets.Tidal pool and outstanding beaches to swim and relax, A port,Roc des Harmonies Aquarium, museums shops fish restaurants and cafes. 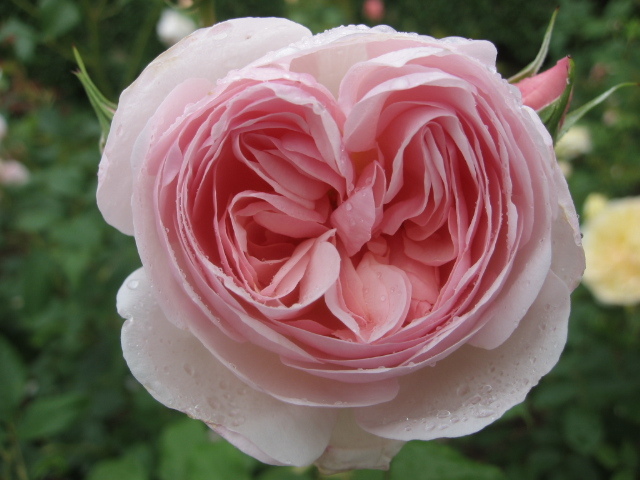 Christian Dior Museum and an Artistic Rose Garden with spectacular clifftop views overlook the sea. 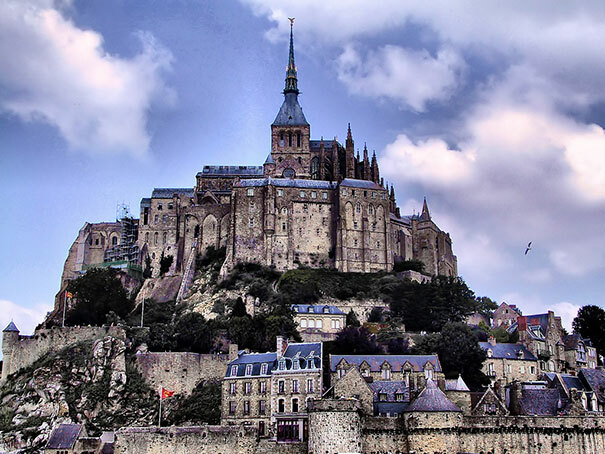 Mont St. Michel is best known for the medieval Benedictine Abbey and steepled church that occupies most of the 1km-diameter of rocks that jut majestically from the waters of the English Channel. La Ferté Macé Fancy a swim in the lake rather than the sea? the inland beach offers an alternative,with water sports and pedal cars to tour the lake. Shops, restaurants bars/cafes. Le Jardin des Plantes. A beautiful garden near Avranches, with great views. 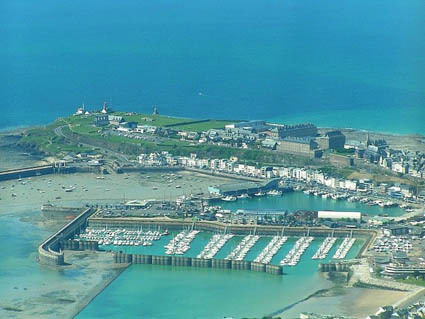 Jullouville Beach. This fun spot is just an hours drive from La Chatouillette and is a great place for swimming and sunning on a sandy beach. 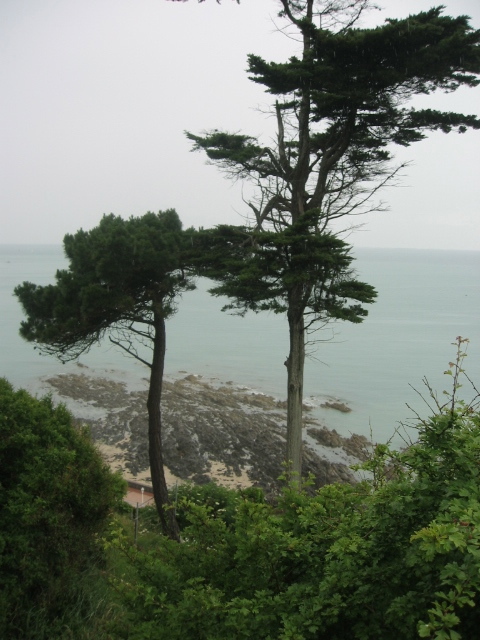 Between Villedieu-les-Poéles and Granville on the D9224, you’ll find Champrepus-Zoological Park and Gardens. It’s a lovely day out and children love it! At Villedieu-les-poéles. Here you will find many shops selling the famous copper and brass pans, kitchen wear and bells. An exciting place to buy presents to take home. The Bayeux Tapestry is of course a master piece and a ‘must see’. The tapestry tells the epic story of the Battle of Hastings, Normandy’s conquest of England in 1066 by William The Conqueror, Duke of Normandy. There are guided tours in English. This Medieval town has narrow streets and ancient wooden buildings dating back to the 18 and 19th centuries. The Cathedral has impressive stain glass and stone lace ornamentation. Giverny Gardens of Claude Monet’s residence. Admire the house of France’s master artist. Enjoy Japanese re-planted water gardens and the famous green Monet bridge. This is a spectacular venue open from spring through to autumn. 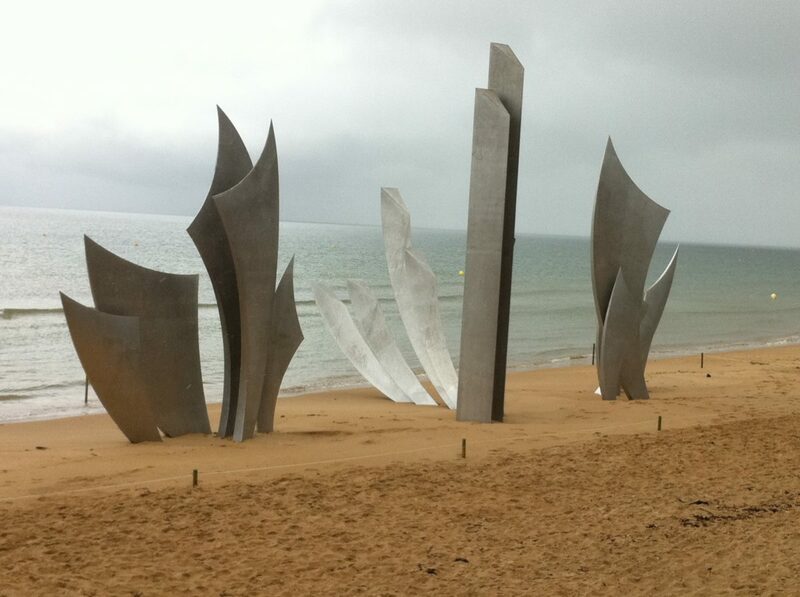 The D-Day Landing beaches and Museums. Each nostalgic creation holds an experienc that will give you an insight and understanding of the historical importance of these treasured monuments. Playa, where allies landed and American graveyards and Museum of War remind us of heroic forefathers. 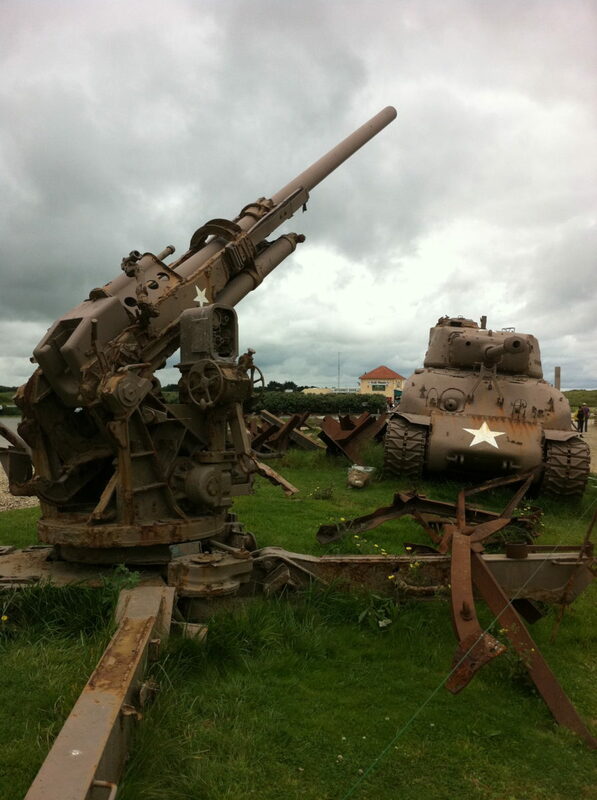 Visit Juno Beach Museum, founded by the Canadian veterans and their families and Omaha D-Day landing with it’s historic bunkers. The American Cemetery and Memorial are also situated here. Arromanches is another historical sight, where the harbour constructed by the Allied forces is displayed in the circular cinema. 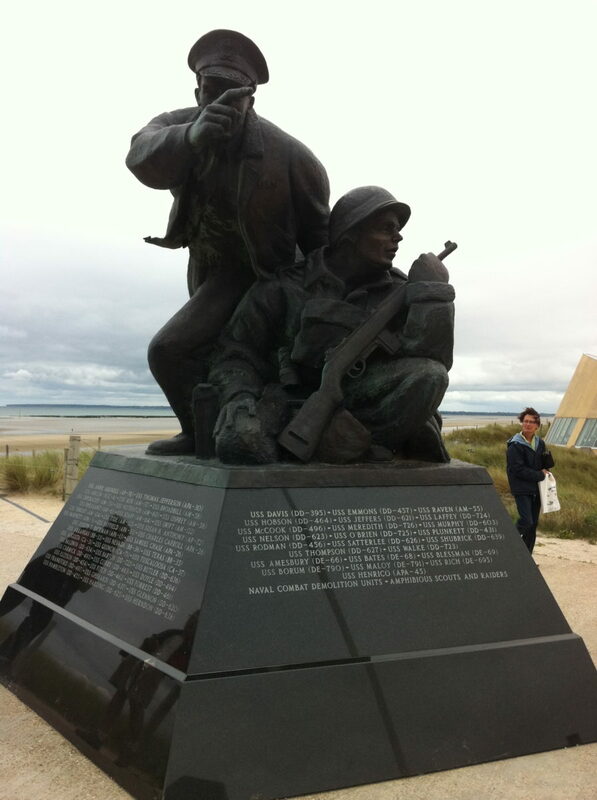 Sword Beach Oustreham. Here you’ll see the Utah small museum, honouring the D-Day landings.